In the world of cats too, there is fashion. This cat never missed the opportunity to try on beautiful shoes or skirt. After all, she's the prettiest cat in town! She has a beautiful white coat and cute ears. Moreover, it is the Persian breed. These cats have always been a fashionista and definitely watching what they wear every day! 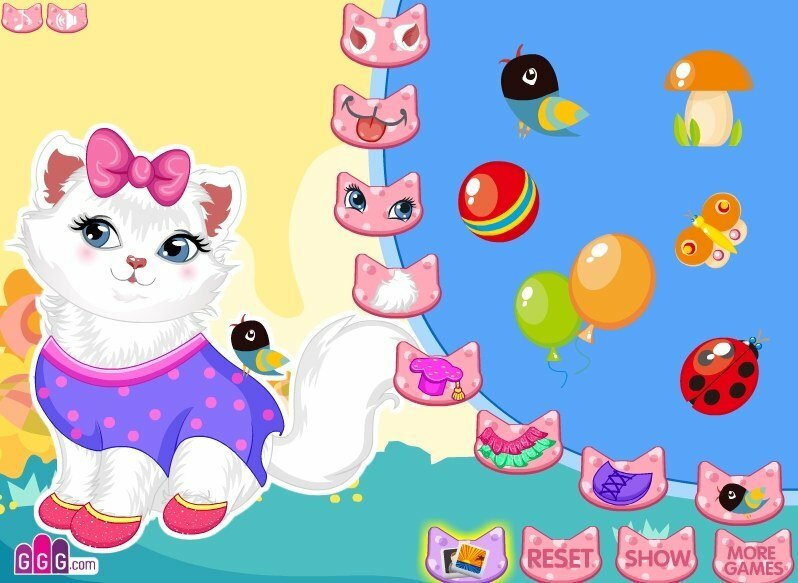 How to play: in this app you will be able to choose a dress and jewelry for a white Persian cat. But in the game you can change the shape of the tail, ears and even choose a hat for the cat. All this will help create an incredible image for our ladies. Played: 17865. Added: 17-11-2015, 14:57. 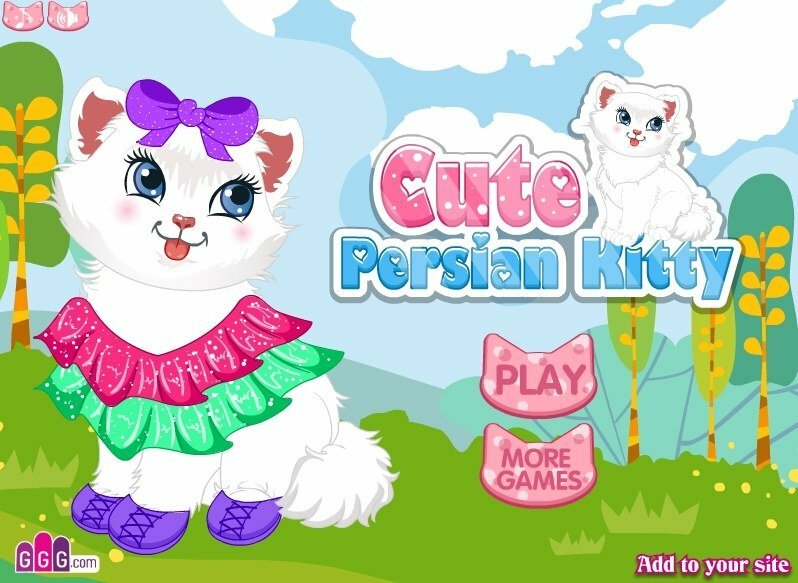 Cute Persian kitty dress up game. New outfit for cute cat.